LONDON — Not since Billy Mills’ storied sprint to win the 1964 Olympic Games has an American man graced the podium of the men’s 10,000 meters. That changed Saturday night at Olympic Stadium when Galen Rupp made his own dash into history to take second in the 10km, highlighting a night that also saw Carmelita Jeter win a silver medal, Will Claye a bronze and the host Great Britain three golds. Placing second in 27:30.90, Rupp (Portland, Ore.) became just the third U.S. man ever to win an Olympic medal in the event, after Mills’ gold and a silver by Lewis Tewanina in 1912. It was also the fastest time ever by an American at the Games. Rupp’s training partner, world champion Mo Farah of Great Britain, won in 27:30.42 to give coach Alberto Salazar a 1-2 punch of his own. It was 25 laps of pure drama – part NASCAR, part roller-derby as speed and tactics melded. Six laps into the race, Zersenay Tadese of Eritrea stretched out the pack, with the leaders including Moses Kiprop of Kenya and Tariku and Kenenisa Bekele of Ethiopia. Rupp ranged from sixth to 10th place, running near Farah as Americans Datahan Ritzenhein (Beaverton, Ore.) and Matt Tegenkamp (Portland, Ore.) strode a few places back. Until just past the 6,000m mark, Tadese handled most of the leading duties, coming through 5,000m in 14:05.79. From that point, a series of surges kept a pack that included Tadese, Teklemariam Medhin of Eritrea, Tariku Bekele, Kiprop and others. With 3,200m to go, the race was clearly one of both speed and strategy. 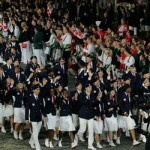 Masai, Muchiri, Bekele, Rupp and Kenenisa Bekele were most in the mix. Rupp sat in fourth place with six laps to go, right ahead of Kenenisa Bekele and Farah. Farah took the lead with four laps left, and the pace ratcheted up as Gebre Gebremariam of Ethiopia took his turn at the lead. hWen the sprint was on, Rupp came from fourth to second as he closed on Farah. That left Tariku Bekele in third in 27:31.43 and Kenenisa, one of the greatest runners in history, fourth in 27:32.44. Ritzenhein finished 13th in 27:45.89 and Tegenkamp was 19th in 28:18.26. With the U.S. and Jamaica taking up five lanes in the women’s 100m final, a battle was in the works. The outcome was the best top-to-bottom race in women’s 100m history that saw Jeter (Gardena, Calif.) edged for gold by the defending Olympic champion, fast-starting Shelly-Ann Fraser-Pryce of Jamaica, who won in 10.75. Jeter’s 10.78 was the fastest runner-up time ever in the Olympics. Jamaica’s Veronica Campbell-Brown finished well to nab the bronze at 10.81, the best-ever third-place time, and Tianna Madison’s (Sanford, Fla.) lifetime-best 10.85 was the best fourth-place time in any competition, anywhere, in history. Allyson Felix (Santa Clarita, Calif.) clocked a PR 10.89 to place fifth. Earlier in the day Jeter won semifinal heat 1 in 10.83, the fastest-ever legal-wind Olympic semifinal, while Felix was second in heat 2 in 10.94 and Madison was second in heat 3 in a then personal-best of 10.92. Competition in the men’s long jump rivaled the 10,000 for shifts in place and position. In the end, Claye came away with the bronze with a best mark of 8.12m/26-7.75. After opening with a 7.98m/ 26-2.25 jump, Claye improved in the second round to 8.07m/26-5.75, putting him in second place. He held that position until he was knocked to fifth during a tumultuous fourth round of jumping that saw all but first place traded. Undeterred, Clay responded in that fourth round with his farthest leap of 8.12m/26-7.75 to retake second by 1cm over Sweden’s Michael Torneus. He was knocked to third by Mitchell Watt of Australia in the fifth round when the Aussie jumped 8.13m/26-8.25, leaving Claye in third, 1cm back. At that point, Only 3cm separated fifth and second as Greg Rutherford of Great Britain was firmly in the lead with the eventual winning jump of 8.31m/27-3.23. 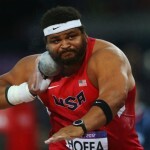 Watt improved to 8.17m/26-9.75 in the final round and Claye fouled, giving him the bronze. Marquise Goodwin (Austin, Texas) fouled on his first attempt, leaped a cautious 7.80m/25-7.25 in the second round, and his third jump of 7.76/25-5.5 left him ninth – one spot short of the final eight cut-off for earning three more attempts. Rupp (5,000m), Jeter (200m, 4×100 relay) and Clay (triple jump) all have at least one more event to contest at these Games. 2008 Olympic champion Stephanie Brown-Trafton (Galt, Calif.) opened the women’s discus with a throw of 63.01m/206-8 to sit in fifth place after one round of throwing; that mark was to remain her best of the day and she finished eighth. Sandra Perkovic of Croatia won with the farthest throw in Olympic or World competition since 1996 at 69.11m/226-9 in round three. Russia’s Darya Pischalnikova claimed silver with 67.56m/221-8 and Yanfeng Li of China took the bronze with 67.22/220-6. The youngest athlete on Team USA, Trevor Barron (Bethel Park, Pa.) finished 26th in the men’s 20km race walk in 1:22:46 in a race in which Ding Chen of China was first (1:18:46), Erick Barrondo of Guatemala was second (1:18:57) and Zhen Wang of China was third (1:19:25). Barron was on pace to set a personal best through the halfway mark, but after receiving two red cards by the 12km mark he slowed his pace rather than risking disqualification. Sharon Day (Costa Mesa, Calif.) had the third-best performance of her career in the heptathlon, scoring 6,232 points to place 16th. Great Britain’s Jessica Ennis smashed her national record to win by 306 points with 6,955, ahead of Lilli Schwarzkopf of Germany (6,649) and Tatyana Chernova of Russia (6,628). Chantae McMillan (Rolla, Mo.) ended up 29th with 5,688 points, while Hyleas Fountain (Daytona Beach, Fla.) withdrew prior to the 800 meters with lower back pain. American women will occupy three of eight lanes in Monday’s 400m final. American record holder Sanya Richards-Ross (Austin, Texas) won the first semifinal Saturday night in 50.07, American indoor record holder Francena McCorory (Hampton, Va.) won heat 2 in 50.19, and 2004 4x400m gold medalist DeeDee Trotter (Orlando, Fla.) was second in the third semifinal in 49.87. Three Americans will compete in Monday’s final of the men’s 400m hurdles. Two-time Olympic gold medalist and defending champ Angelo Taylor (Atlanta, Ga.) was second in heat 2 in 47.95, Michael Tinsley (Round Rock, Texas) won heat 3 in 48.18, and defending silver medalist Kerron Clement (Los Angeles, Calif.) qualified on time by placing third in heat 1 in 48.12. Competition resumes Sunday morning with the women’s marathon. 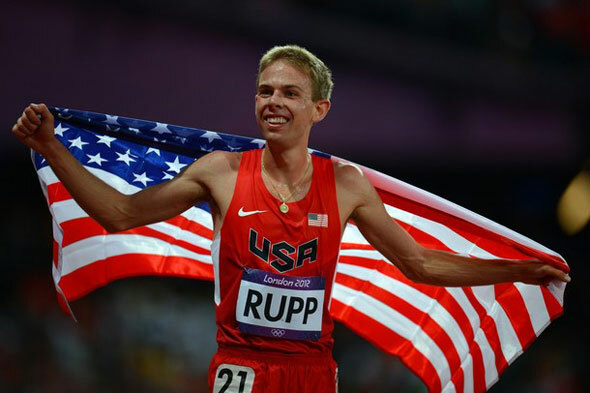 Galen Rupp, 10,000m: “I’m thrilled for Mo. It’s unreal. Two training partners coming in first and second. I couldn’t be happier. I wouldn’t be where I am today without him. I’m the lucky one – I get to train with the best middle distance runner in the world.